On 5th May the Inky team will be joining a fantastic line up of writers to celebrate local authors on the Isle of Wight. The event is being staged at Lord Louis Library in Newport and will provide opportunities to meet and chat with award-winning authors and self published writers. There’ll be a chance to get your hands on signed copies of our books, plus find out more about the new titles we will be publishing this summer. A variety of workshops and children’s activities will also be running throughout the morning. For anyone who has dreamed of writing a book, but not known where to start, Krissy will be hosting an hour-long mini writing masterclass filled with practical tips and inspiration to give you the confidence to start writing your best-seller. Meanwhile, Zoe will be introducing her upcoming book ‘Chasing Butterflies’, and leading a butterfly themed activity for children. Click here for more details on the activities taking place during the event. The Local Author event takes place between 10am and 1pm and entry is free. There is a charge for the workshops and children’s activities and places can be booked in advance at the library. Competition proves colouring-in is not just for kids! You’re never to old to enjoy a bit colouring-in! That’s what we discovered while judging the amazing 251 entries to Zoe’s ‘Mysteries of the Deep’ colouring-in competition. Our youngest budding artists were 4 years old, while our oldest entrant was 80. In particular we were delighted that so many Island primary schools got involved and encouraged their students to take part. We had a really hard time choosing the winners as the standard was so high. A lot of time and imagination went into those pictures! Winning entrants had their artwork framed and received copies of Zoe’s books and sets of colouring pencils. Plus everyone got to take home a tasty treat thanks to Zoe’s homemade mermaid cupcakes! Beware monsters, mermaids and mysteries this month at Inky! With autumn upon us, it looks set to be a busy month for the Inky team. We are delighted to announce that Zoe’s first colouring book Mysteries of the Deep is now available to buy. Enjoy colouring in an array of beautiful and wondrous sea creatures. It’s a mysterious underwater world to immerse yourself in with mystical monsters and mermaids to treasure maps and submarines. Explore and colour in the pages and solve some mazes and mysteries along the way. You can get your copy from our online shop, or why not pick one up at the Youth Zone where Zoe will sign it for you! And don’t forget to pick up your entry form for Zoe’s colouring competition. It runs until 21st October and it’s not just for kids! Forms are available from Waterstones in Newport, or the Inky shop at the IW Literary Festival. If you can’t make it to Zoe’s Monster Message workshop at the IW Literary Festival, she is also running two sessions this half term at Lord Louis Library in Newport, on Tuesday 24th October at 10am and Thursday 26th October at 2pm. Tickets cost just £1 and can be booked at the Library. We hope you have all been enjoying a lovely summer and lots of sunshine. For many it is now back to school and back to work but there has been a flurry of activity behind the scenes at Inkyeverafter Press all over the summer. We are delighted to say we have been getting underway with our first ‘Inky’ titles ready for our official launch at this year’s Isle of Wight Literary Festival in October. We are hugely excited to be a part of the festival’s Youth Zone as well as being a part of the programme over the weekend. For the past few years the Island’s Literary Festival has been hosted at Northwood House in Cowes and invites book lovers to enjoy the lovely setting of the Georgian manor house while enjoying all the bookish exploits the festival has to offer. There are lots of workshops to inspire and it is a great chance to meet authors you admire and if you are like us an opportunity to get a book or two signed by a favourite author. Zoe, our resident illustrator, will be launching her new colouring book over the festival weekend ‘Mysteries of the Deep’. It will be published at the end of the month and is now available for pre-order. Zoe will also be running a free ‘draw a monster’ workshop for children within the Youth Zone on Sunday 15th October and if you want to bring your kids along you can sign up here. Get your tickets while you can as spaces are limited! We do hope you can join us over the Literary Festival weekend so please seek us out as we will have an Inkyeverafter Press book stand within the Youth Zone. You won’t be able to miss us as it will be in the form of a little vintage caravan! We are always happy to chat about anything book related so do drop us a line anytime and will be back with more Inky news and festival soon. The Inky team were delighted to be approached by Isle of Wight author and illustrator Marianne Su Yin to help see her dream of publishing a picture book become a reality. Marianne is a talented illustrator and, like Zoe, used crowdfunding to finance her book ‘On the Trail of the Missing Pets’. This was Marianne’s first foray into the world of self-publishing, so we asked her to share her thoughts on becoming an indie author. Naively thinking the process of actually writing and illustrating a book would be the hardest part, it was a surprise to learn this was just the beginning. After six months of revisions, edits, formatting and preparation I made the wise decision (thankfully, in hindsight) to employ a professional for its transition from storyboard to publication. It is so easy to become attached to our work that taking a step back can be difficult, and sometimes impossible. Plus I simply didn’t have the expertise for the final stages. As a first time author I confess I was creating a book for personal rather than commercial reasons. Focussing on the logistics of style, layout and print was not a priority. Having now published ‘On the Trail of the Missing Pets’ I applaud everyone who manages to do the same. It is a big achievement so well done all. Fortunately I had successfully crowdfunded my book and a proportion of these funds were allocated to professional services. Even without this, unless you have the experience yourself, I would say that investing in publishing services is a must. My friends had proofread and given editorial suggestions, ruthlessly, and more than once. I had learnt there is a particular format for children’s books on word count, font, layout etc. Readers are so familiar with the way these books look that straying too far in order to be ‘unique’ or retain one’s artistic integrity may limit its purpose. Which is to be easily read and enjoyed. Collaborating with Zoe at Inky Ever After Press was invaluable to give my book the look, feel and finish I needed. My expectations were high, and after all the hard work I had invested I didn’t want to produce something which shouted out ‘first timer’ or ‘self published’. The feedback since launching has been fantastic. Children and adults love the book. It can proudly sit on the bookshelf next to familiar favourites and I hope it opens a genre of it’s own. Which is illustrated rhyming verse for older children by the way, but that is another blog for another day. So why did we set up Inkyeverafter Press? For years I have been trying to get my work traditionally published, and yes, like you have probably heard over and over again, it is a long hard road and not always easy. However; books, reading and illustration have always been my biggest passions in life. Have I considered giving up my publishing dreams? Yes! Frankly I have, more than once, but I always come right back around to my love of books. When I left University after an illustration degree I couldn’t find any work. I was too inexperienced, the market was too saturated. I submitted my portfolio to publisher after publisher and received rejection after rejection. It was soul destroying! I tried to find an agent but I didn’t really have any luck there either, not with anyone truly reputable that could help me on my way. So I went back to University. After a brief flirtation with the National Film and Television School I settled on Publishing. I had come right around to books again. I learnt everything through from commissioning a book, to editing, to design through to book printing and distribution. I also had a great work experience opportunity with a traditional children’s book publisher on Fleet Street. I felt I finally had the knowledge I needed to pursue my book dream, although I still didn’t quite know what that was. So where did I end up? Confession time… working for a vanity publisher. I still inwardly groan at the thought! They were one of the worst and that is all I will say about them. Fortunately I had no direct involvement with their day to day practices. I worked from home obliviously illustrating their children’s book list. I remember bashing out one book a week which included ten illustrations and a book jacket. After a while, it too, was soul destroying! I was having to knock out illustrations so fast I really didn’t have time to even contemplate creating my best work. It put me off self publishing for what I thought was going to be for life! I had no respect for this part of the industry and I still have absolutely no time for vanity publishers and the way they exploit authors. After finally being made redundant, which although horrible at the time was a blessing, I started painting for therapy. I didn’t actually do anything book related for quite a long time. I needed a break! I started enjoying my art again and selling my work at craft fairs, exhibitions and in art galleries. I slowly started incorporating more illustration into my work again and then started doing private commissions. I set up my own business and became a freelance illustrator and designer. Slowly I started submitting my work to traditional publishers and agents again with varying degrees of success but nothing I can say that really worked out particularly well. Fast forward nearly 8 years and I finally self published my first children’s book through crowdfunding which was a huge personal milestone and a great success. After which I finally got myself a reputable illustration agent. Two years into the relationship I realised that no one is going to push your work as much you will do yourself, and decided to go it alone. The industry has changed so much in 10 years and I had finally gotten over a huge personal mental block when it comes to self publishing. However I do believe in doing it properly. There are a lot of badly produced, terribly edited and illustrated books out there. I do think if you are going to self publish or be an independent author you have to take it seriously and do it properly. Get your book professionally edited, listen to feedback and if you need someone to help with design or illustration then you should work with other reputable people to help your book be the best it can be. I slowly realised with my publishing background and experience I had a lot to offer. I really want to help authors publish high quality beautiful books and of course Inkyeverafter Press will also help me on my journey to publish and illustrate my own children’s books. I now believe successful self publishing can be a great way to get your writing out to an audience and even act as a launchpad to becoming traditionally published. And of course now I have collaborated with the wonderful Krissy with Inkyeverafter Press. She has a great knowledge of PR and marketing and is a self confessed social media addict. So who better to help get our books out to the world after they have been published. I am afraid to say the marketing and launch of a book is just as important as the book production itself. It takes time and a lot of energy. 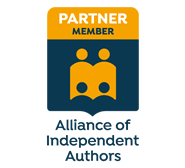 We have also now been approved as a partner member of ALLI (The Alliance of Independent Authors) a non profit association for self publishing authors. They vet and ‘watchdog’ all their partner members for trusted self publishing services and needless to say I am a huge advocate of this.